Composites show unique material properties such as significantly enhanced thermo-stability, elastic modulus, tensile strength, fracture strength and are therefore widely used in the manufacturing of manifold products. Sonication is proven to produce high-quality nanocomposites with highly dispersed CNTs, graphene etc. Ultrasonic equipment for the formulation of reinforced composites is available on industrial scale. Nanocomposites excel by their mechanical, electrical, thermal, optical, electrochemical, and/or catalytic properties. Due to their exceptionally high surface to volume ratio of the reinforcing phase and/or their exceptionally high aspect ratio, nanocomposites are significantly more performant than conventional composites. Nano particles such as spherical silica, mineral sheets such as exfoliated graphene or clay, or nano fibres such as carbon nanotubes or electrospun fibres are frequently used for reinforcement. For example, carbon nanotubes are added to improve the electrical and thermal conductivity, nano silica is used to improve mechanical, thermal and water-resistance properties. Other kinds of nanoparticulates give enhanced optical properties, dielectric properties, heat resistance or mechanical properties such as stiffness, strength and resistance to corrosion and damages. Ultrasonic process parameters can be exactly controlled and optimally adapted to material composition and desired output quality. Ultrasonic dispersion is the recommended technique to incorporate nano particles such as CNTs or graphene into nanocomposites. Long-time tested on scientific level and implemented on many industrial production plant, the ultrasonic dispersion and formulation of nanocomposites is a well-established method. Hielscher’s long experience in ultrasonic processing of nano materials ensures a profound consulting, the recommendation of a suitable ultrasonic setup and assistance during process development and optimization. Mostly, the reinforcing nano particles are dispersed into the matrix during processing. The weight percentage (mass fraction) of the added nano material range in the lower scale, e.g. 0.5% to 5%, since the uniform dispersion achieved by sonication allows for saving the reinforcing fillers and higher reinforcement performance. A typical application of ultrasonics in the manufacturing is the formulation of nanoparticulate-resin composite. To produce CNT-reinforced vinyl ester, sonication is used to disperse and functionalize CNTs. These CNT-vinyl ester are characterized by enhanced electrical and mechanical properties. Click here to read more about the dispersion of CNTs! Graphene offers exceptional physical properties, a high aspect ratio and low density. Graphene and graphene oxide are integrated into a composite matrix in order to obtain lightweight, high strength polymers. To achieve the mechanical reinforcement, the graphene sheets / platelets must be very fine dispersed, for agglomerated graphene sheets limit the reinforcing effect drastically. Scientific research has shown that the magnitude of improvement is mostly dependent upon the dispersion grade of the graphene sheets in the matrix. Only homogeneously dispersed graphene gives the desired effects. Due to its strong hydrophobicity and van der Waals attraction, graphene is prone to aggregate and agglomerate into flakes of weakly interacting monolayered sheets. While common dispersion techniques often cannot produce homogeneous, undamaged graphene dispersions, high power ultrasonicators produce high-quality graphene dispersions. Hielscher’s ultrasonicators handle pristine graphene, graphene oxide, and reduced graphene oxide from low to high concentration and from small to large volumes hasslefree. A common used solvent is N-methyl-2-pyrrolidone (NMP), but with high power ultrasonics, graphene can be even dispersed in poor, low boiling point solvents such as acetone, chloroform, IPA, and cyclohexanone. Click here to read more about bulk exfoliation of graphene! Power ultrasonics is proven to result in fine-size dispersions of various nano materials including carbon nanotubes (CNTs), SWNTs, MWNTs, fullerenes, silica (SiO2), titanium dioxide (TiO2), silver (Ag), zinc oxide (ZnO), nanofibrillated cellulose and many others. In general, sonication outperforms conventional dispersers and can achieve unique results. Besides milling and dispersing nano particles, excellent results are achieved by synthesizing nano particles via ultrasonic precipitation (bottom-up synthesis). It has been observed that the particle size, e.g. of ultrasonically synthesized magnetite, sodium zinc molybdate and others, is lower as compared to that obtained using the conventional method. The lower size is attributed to the enhanced nucleation rate and better mixing patterns due to the shear and turbulence generated by ultrasonic cavitation. Click here to learn more about ultrasonic bottom-up precipitation! The specific surface area of a particle increases with reduction of size. Especially in nanotechnology, the expression of material characteristics is significantly increased by enlarged surface area of the particle. The surface area can be ultrasonically increased and modified by attaching appropriate functional molecules on the particle surface. Regarding application and use of nano materials, surface properties are as important as particle core properties. Ultrasonically functionalized particles are widely used in polymers, composites & biocomposites, nanofluids, assembled devices, nanomedicines, etc. By particle functionalization, characteristics such as stability, strength & stiffness, solubility, polydispersity, fluorescence, magnetism, superparamagnetism, optical absorption, high electron density, photoluminiscence etc. are drastically improved. Common particles which are commercially functionalized with Hielscher’ ultrasonic systems incude CNTs, SWNTs, MWNTs, graphene, graphite, silica (SiO2), nanodiamonds, magnetite (iron oxide, Fe3O4), silver nano particles, gold nano particles, porous & mesoporous nanoparticles etc. Click here to see selected applications notes for ultrasonic particle treatment! Hielscher’s ultrasonic dispersing equipment is available for lab, bench-top and industrial production. Hielscher’s ultrasonicators are reliable, robust, easy to operate and clean. The equipment is designed for 24/7 operation under heavy duty conditions. The ultrasonic systems can be used for batch and inline processing – flexible and easily adaptable to your process and requirements. Kapole, S.A:; Bhanvase, B.A. ; Pinjari, D.V. ; Gogate, P.R. ; Kulkami, R.D. ; Sonawane, S.H. ; Pandit, A.B. (2014): “Investigation of corrosion inhibition performance of ultrasonically prepared sodium zinc molybdate nanopigment in two-pack epoxy-polyamide coating. Composite Interfaces 21/9, 2015. 833-852. Nikje, M.M.A. ; Moghaddam, S.T. ; Noruzian, M.(2016): Preparation of novel magnetic polyurethane foam nanocomposites by using core-shell nanoparticles. Polímeros vol.26 no.4, 2016. 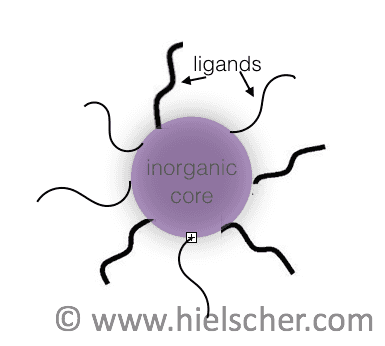 Tolasz, J.; Stengl, V.; Ecorchard, P. (2014): The Preparation of Composite Material of Graphene Oxide–Polystyrene. 3rd International Conference on Environment, Chemistry and Biology. IPCBEE vol.78, 2014. Composite materials (also known as composition material) are described as a material made from two or more constituents which are characterized by significantly different physical or chemical properties. When those constituent materials are combined, a new material – the so-called composite – is produced, which shows different characteristics from the individual components. The individual components remain separate and distinct within the finished structure. The new material has better properties, e.g. it is stronger, lighter, more resistant or less expensive in comparison to conventional materials. Enhancements of nanocomposites range from mechanical, electrical / conductive , thermal, optical, electrochemical to catalytic properties. Composite materials are generally used for building and and structuring materials such as boat hulls, countertops, car bodies, bathtubs, storage tanks, imitation granite and cultured marble sinks as well as in spacecraft and aircraft. Composites can also use metal fibres reinforcing other metals, as in metal matrix composites (MMC) or ceramic matrix composites (CMC), which includes bone (hydroxyapatite reinforced with collagen fibres), cermet (ceramic and metal) and concrete. Organic matrix/ceramic aggregate composites include asphalt concrete, polymer concrete, mastic asphalt, mastic roller hybrid, dental composite, syntactic foam and mother of pearl. 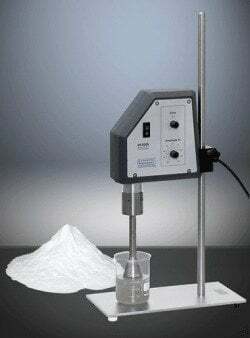 Particle properties can be observed when the particle size is reduced to a particular level (known as critical size). When the particle dimensions reach the nanometre level, interactions at phase interfaces become largely improved, which is crucial to enhance materials characteristics. Thereby, the surface area : volume ratio of materials, that are used for reinforcement in nanocomposites is most significant. Nanocomposites offer technological and economic advantages for almost all sectors of industry, including aerospace, automotive, electronic, biotechnological, pharmaceutical and medical sectors. A further big advantage is their environmental-friendliness. Power ultrasound improves the wettability and homogenization between the matrix and the particles by its intense mixing and dispersing – generated by ultrasonic cavitation. Since sonication is the most widely used and most successful dispersion method when it comes to nano materials, Hielscher’s ultrasonic systems are installed in lab, pilot plant and production worldwide.